- Nominal Core Dia. 2.90mm, PVC Jacketed, Black/Grey. PVC insulated Control Cable upto 100 Cores and 650/1100 V grade armoured or unarmoured as per IS 1554 Part I/BS 6346. - HR PVC, FRLS PVC, FR PVC. Based in Mumbai (Maharashtra), we are entrusted with the task of exporting and supplying durable Power Cable to every nook & corner of the country and abroad. 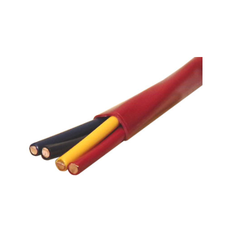 We source Power Cable from the reliable manufacturers or vendors present in the market. Buyers can place bulk as well as urgent orders for Power Cable with us. We also ensure timely and safe delivery of the orders. - Cable System (36 kV and above). - These power cables are insulated with PVC and are appreciated for fire and heat resistant finish. - These wires are fire and heat resistant as well as these wire are insolvent to oil and water. 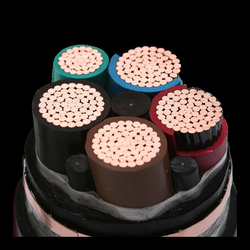 - These power cables are available in multi core armoured construction and various sizes.